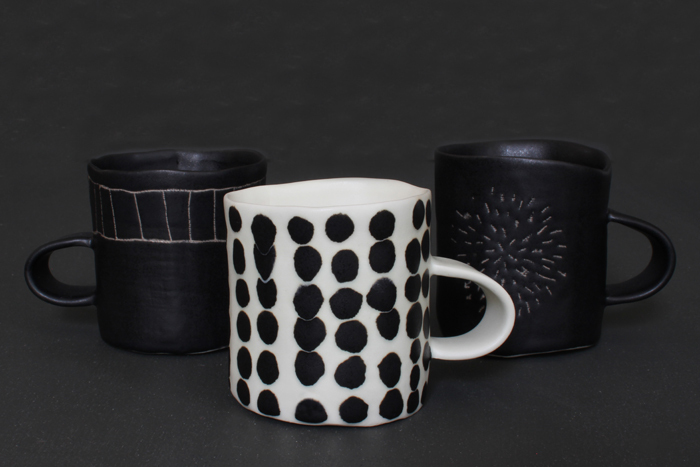 Jennifer Graham is a ceramic designer/maker. Her hand built porcelain vessels are informed by textile, pattern, and function. Her limited palette and textures create clean lined contemporary works. Jennifer graduated from Sheridan College Craft and Design Program. She has exhibited in Toronto, New York and the UK. Jennifer's ceramics have been featured in numerous design magazines. Her work is represented in galleries and design stores across Canada.